Which Android phone should I consider if I’m thinking about switching from an iPhone? This question was answered on November 29, 2018. As the sophistication of smartphones improves, some of the previous gaps between the brands and platforms has narrowed, which has a lot of users pondering this question. Anyone that uses a lot of Google’s tools, such as Gmail, Drive, Calendar or Suite will notice a difference in how things work on an Android device vs. an iPhone. When I switched to Android some years ago, the subtle differences in how things worked when using Google tools made things more fluid and productive for me. What’s different about the Android world is that each smartphone manufacturer has their own modified version of Android to work with their hardware. Now that Google is building their own hardware, the tight integration Apple has always provided is now available to Android users. Since each manufacturer of Android smartphones has modified the operating system to integrate with their hardware, when Google releases an update to the Android platform, all of the other manufacturers have to take the time to figure out how to integrate the updates into their customized versions. 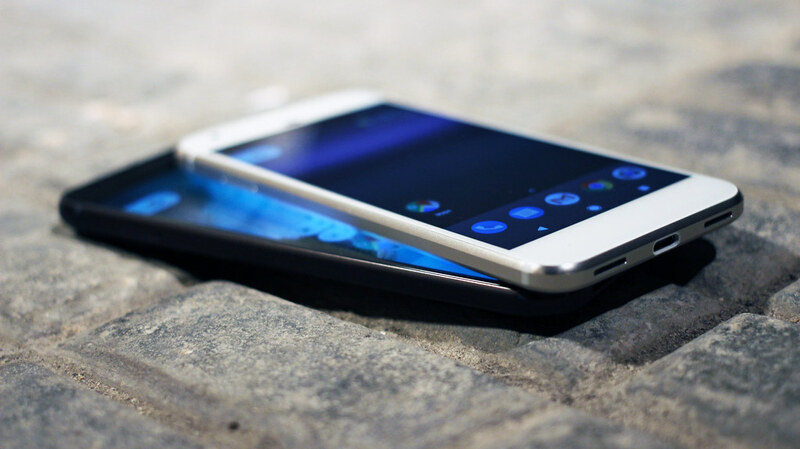 This can result in long delays, depending upon the manufacturer and model of smartphone, so one of the clear advantages of using a Google Pixel device is having access to any updates as soon as they become available. Samsung has long been the leader in Android devices, with their Galaxy series, which has most often offered the latest technology first but they’ve also added lots of ‘bloat ware’ that impacts the operation. Lots of other Samsung specific apps that most users will never use like Samsung Pay, Connect, Gear, Health or their version of Mail, Messages, Calendar and Contacts are taking space and need to be manually removed to free up valuable space. Google’s 3rd revision of its Pixel line has drastically improved the device and made it much more of a competitor to the latest iPhones from Apple. In my tests of the Pixel’s cameras, two things stood out immediately. For selfie-fanatics, the dual front facing cameras make for wider angled images, so getting a large group of people into your selfie is easier. The other immediate ‘OMG’ moment came from an iPhone user that saw some of my low-light images and proceeded to shoot some comparison images because of his amazement. The industry leading camera technology coupled with a significantly lower price can be very attractive to anyone comparing smartphones, but there’s another huge consideration.